LIVE MUSIC offered daily from a variety of local Maui musicians, from 9:30a-11:30p AND 3-5p in the open air courtyard of The Wharf (on Front St. across from the Banyan Tree in Lahaina). The Longest Happy Hour on Maui will also be happening from 2-6pm daily! LIVE MUSIC offered daily from a variety of local Maui musicians, from 10:30a-12:30p AND 3-5p in the open air courtyard of The Wharf (on Front St. across from the Banyan Tree in Lahaina). Down The Hatch celebrating 4/20 with CBD Cocktails & Build Your Own MAUI WOWIE WAFFLES! Enjoy the haze ALL... DAY... LONG... on 4/20 we'll have CBD Cocktails & WAFFLES! Serving from 7:30a 'til 12a. Build your own Maui Wowie Waffles for only $12! Choose from Sweet & Savory toppings and make the munchies of your dreams. We always have Craft Cocktails with CBD OIL Down The Hatch but on 4/20 we'll have a specialty Munchie Menu with CBD Cocktails, including Mocha S'mores, Mochi Ice Cream, Dreamcicle, DTH Blizzard & more! Of course, whatever cravings you might have, we'll hopefully be able to accommodate you with our FULL MENU. Don't worry we make sure things are made too perfection, no half-baked or too crispy... it'll be just right on 4/20 Down The Hatch. Down The Hatch is once again teaming up with the Save Honolua Coalition, Surfrider Foundation - Maui Chapter & Les Potts to clean-up at The BAY Saturday, April 20th 8-11a! VOLUNTEERS NEEDED 8-11a! Come any time any help is appreciated! 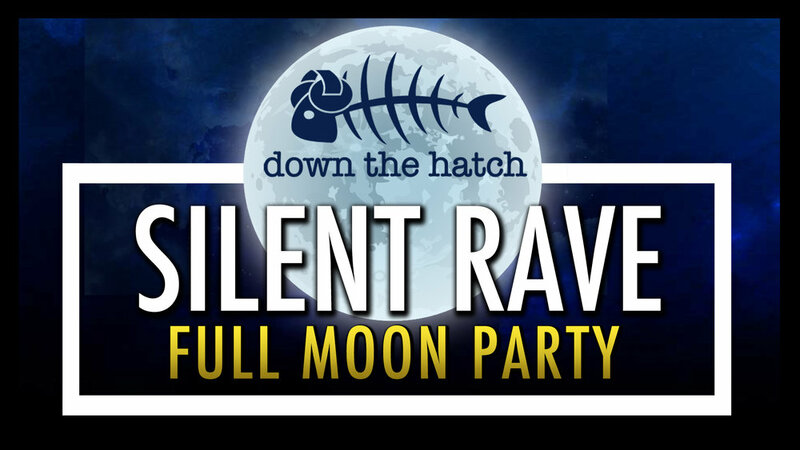 SILENT RAVE under the FULL MOON! FREE Entry... it's time to party Down The Hatch... Only $5 for the headsets ... AND ... 2 DJs! Featuring different local DJs each rave... the beats drop at 10pm... you choose the channel you want to groove too... and dance away at DTH Maui in our open-air courtyard, under the Full Moon! 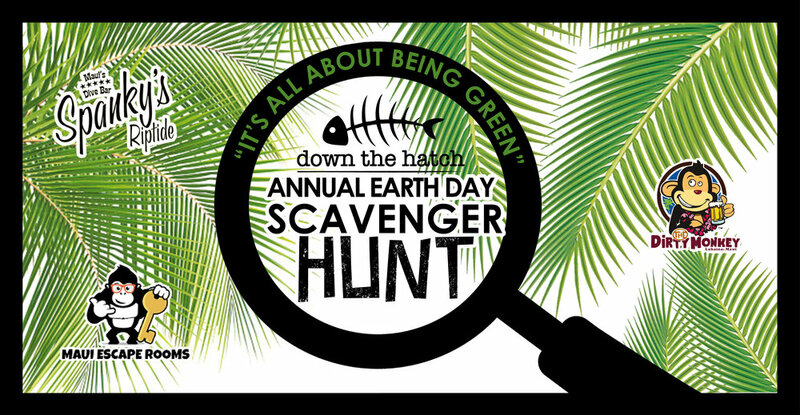 Down the Hatch hosts the 2nd Earth Day Scavenger Hunt 4/22/19, “It’s all about Being Green” benefiting the Honolua Bay Clean-up w/Les Potts, Save Honolua Coalition, & Surfrider Foundation - Maui Chapter! Down the Hatch comes together with Spanky's Riptide, The Dirty Monkey Lahaina, Breakwall Shave Ice Co. and Maui Escape Rooms for an Earth Day Scavenger Hunt to benefit the Honolua Bay! NEW SCAVENGER HUNT LIST! New challenges, new clues, & more! The Scavenger Hunt will start at 6pm on Sunday, April 22nd at Spanky’s Riptide in the 505. The hunt is open to the community (21+). The DTH Scavenger Hunt will lead participants around Lahaina town, through local businesses, and historic sites using different clues. Teams are encouraged to play with the theme, “It’s All About Being Green”, to draw positive attention to themselves, to raise awareness about Earth Day and the variety of cleanups happening all over Maui! Proceeds from the Scavenger Hunt will benefit recent & future clean-up at Honolua Bay. Maximum of 4 people per team, $100 entry fee per team, with 100% of the proceeds going to the Honolua Bay Clean-up efforts. For more information contact info@dthmaui.com. Singles & Doubles welcome, we will do our best to pair you with other teams! 11:30p – Winners will be announced & prizes awarded! We want you to be the most GREEN you can be by having an awesome Team Theme! Interpret it how you may & have fun with it…. Please keep costumes appropriate as you are representing positive clean-up efforts for Honolua Bay while parading through Lahaina. Wednesday's are NEW at DTH! WHAT'S GOOD WEDNESDAY & it's pretty much everything! Drink specials for $5 & $10 Food Specials starting at 10p! Let's start with the drinks... we'll get that going a lil' early with a Craft Beer Tasting at 8:30p for only $5, just buy your tasting glass at the bar. Also, $5 Wines & a weekly craft cocktail will be available. Now let's talk food... we're feeling a lil' spicy for What's Good Wednesday! We're going to switch up some of our classic DTH staples & go Buffalo Style! $10 Buffalo Chicken Sandwich, Buffalo Shrimp Po'Boy, & Buffalo Chicken Caesar Wrap, starting at 10p. 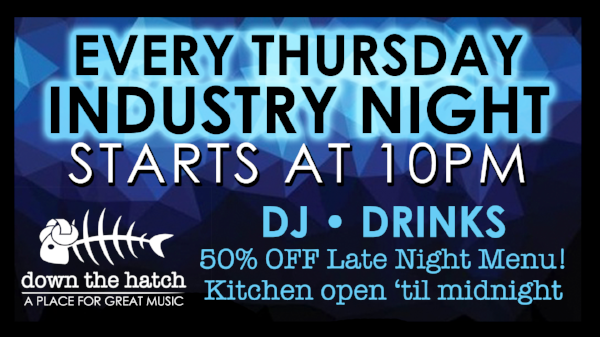 Late Night DJ 5 nights a week from 10p 'til 2a Down The Hatch. 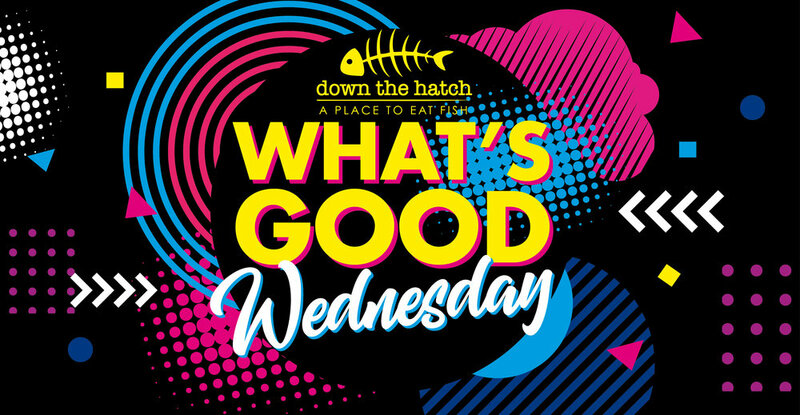 It's Wednesday, it's What's Good, and it's only at DTH Maui! Everyone who enters the building will get a raffle ticket! You MUST be present to win. The drawing will be at Midnight. If you win, you choose your shoes from SFC. Fresh Squeezed Friday featuring craft cocktails & a new menu each week! The menu is designed by master craftsmen Adam Rio, Josh Hopkins, & Maya Alexander. Starting at 6pm this trio will deliver a new handcrafted cocktail menu using fresh & local ingredients, along with some serious creativity. Congratulations to our bartenders for being recognized the last two years! Adam Rio as one of the Best Mixologist on Maui & Maya Alexander named Best Female Bartender in Maui! Fresh squeezed handcrafted cocktails start at 6pm, DJ starts at 10pm! 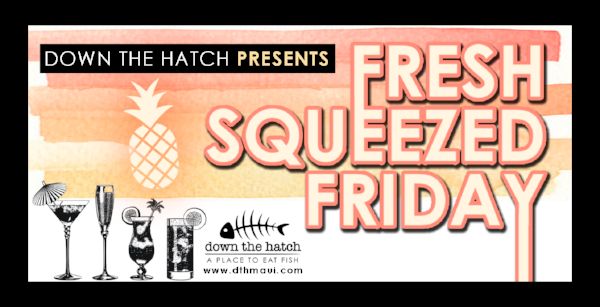 Fresh Squeezed Friday happening every week Down the Hatch! 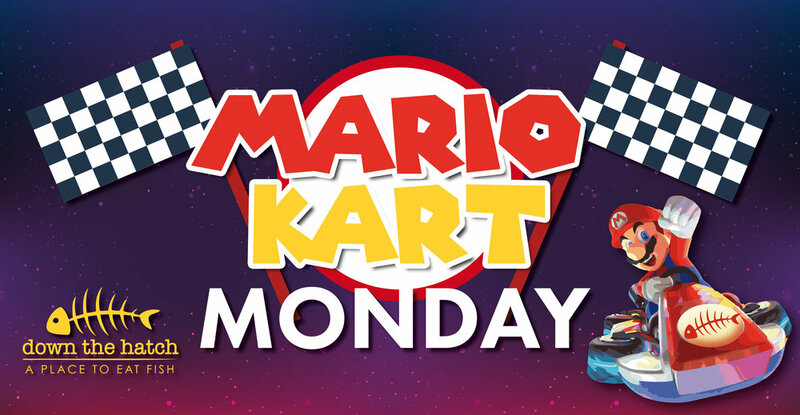 Every 4th Monday of the Month, Down The Hatch is bringing you the N64 Mario Kart Tournament! Old school gamers, nostalgic junkies, & just folks who want to have some good 'ol fun come join us for your chance to win some sweet prizes! You'll BATTLE - BLOCK FORT on our projector screen. Bragging rights, DTH Cash, & more to the victor. Let the games begin, Down The Hatch... Tournament starts at 10p, bar closes at 2a! We rave under the full moon and we disco the other times! 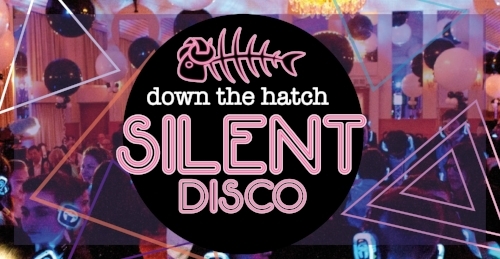 Another party Down The Hatch to get your groove on... at the Silent Disco we'll have 2 DJs spinning... you choose the channel you want to jive too & let the funky moves begin! The party starts @ 10p & goes 'til close... Kitchen open 'til midnight & drink specials during the Disco. See y'all Down The Hatch! Come to DTH Breakfast & get to hang with some pretty amazing animals! The Assistance Dogs of Hawaii will come visit again at Breakfast on MAY 5 (9:30am to 11:30am). Get informed & educated about the great work that these dogs do. BUY a DTH Bandana & a portion of the proceeds with go back to the the Assistance Dogs of Hawaii. We hope to see you Down The Hatch! Assistance Dogs of Hawaii (ADH) is a 501(c)3 non-profit organization that has provided professionally trained Assistance Dogs for children and adults with disabilities in Hawaii since 2000. ADH is a fully accredited member of Assistance Dogs International and has a main campus on Maui and an office on Oahu. ADH places Assistance Dogs and provides lifetime follow-up support free of charge thanks to generous support from individuals, businesses and foundations. The money DTH donates goes toward helping people all over Hawaii. Service Dogs, Hospital Facility Dogs, Courthouse Dogs, Therapy Dogs, Seizure Response Dogs and Guide/Hearing Dogs are all part of the ADH program. Their Community Outreach Program includes dogs for Veterans and victims of PTSD, Paws for Reading Program and medical research studies which are proving that animals can be used to detect life threatening conditions - bacterial infections and early stages of cancer. 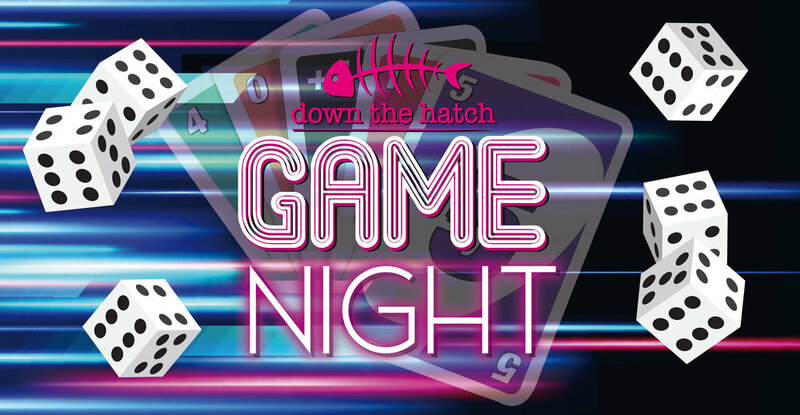 The first Monday of every month at the Best Bar on Maui is GAME NIGHT! 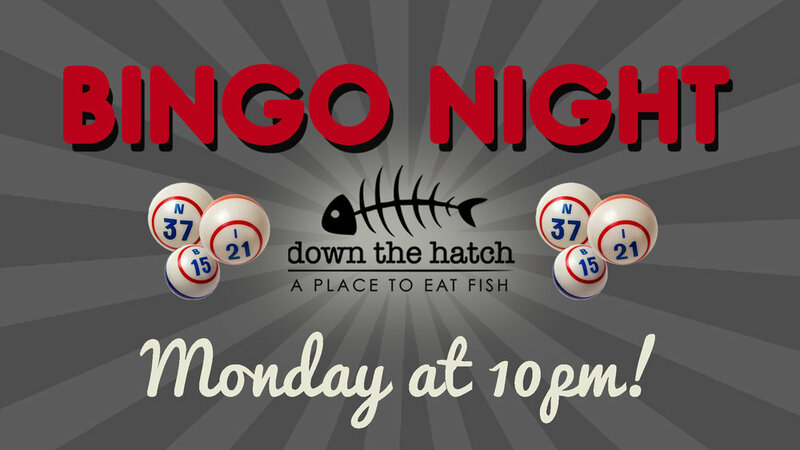 DTH is bringing you Adult Jenga, Giant Connect Four, Uno, & more to liven' up your potentially mellow Monday Night. Sometimes you just want to have some good old fashion fun & the nostalgia of the games you grew up with is just what you need... except this time it's even better because you can do it with a beer in hand! Late night specials & games to entertain. See you Down The Hatch! Down the Hatch 2nd Friday featuring Local Maui Artists! DTH-Maui will feature local artists Tika Carter & Amber Cara in May starting @ 5:30 pm! Tika & Amber will be here with her art on display & will be on hand to talk about her work. See artwork from local artists every 2nd Friday at DTH Maui. Join us for an evening of Art & "Fresh Squeezed" cocktails, prepared by our award winning house craftsmen Adam Rio, Joshua Hopkins, & Maya Alexander. Starting at 6pm this trio will deliver a new handcrafted cocktail menu each week. Each artist will have a piece, benefiting the Lahaina Arts Association, Youth Outreach Program. 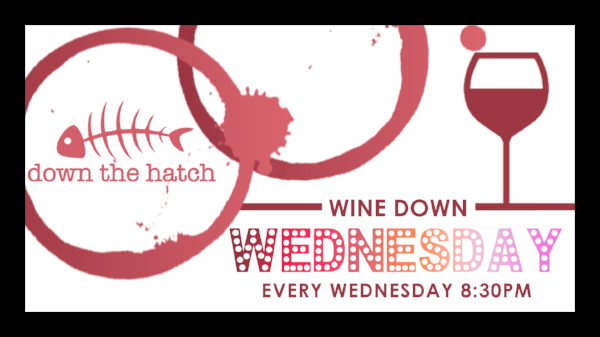 Supporting local all around, join us Down the Hatch! Followed by the "Official Art Walk After Party", featuring a local DJ. DTH-Maui will feature local artists Kartikasari Klaresta Carter & Amber Cara in May, starting @ 5:30 pm! Cas will be here with her art on display & will be on hand to talk about her work. See artwork from local artists every 2nd Friday at DTH Maui. Here we go again! It's the DTH Lip Sync Battle & it's every 3rd Monday of the Month Down The Hatch! Do you love music? Are you the ultimate performer? 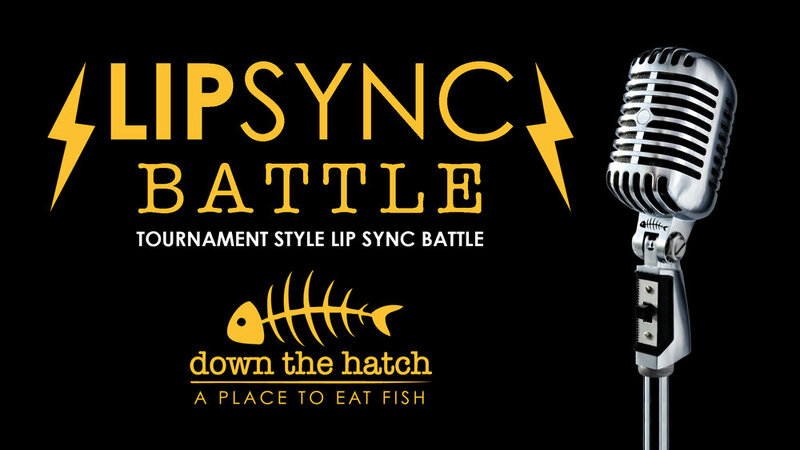 Let's put your lips & your hips to the test in the Down the Hatch Lip Sync Battle... You choose the song & you show us your best moves! 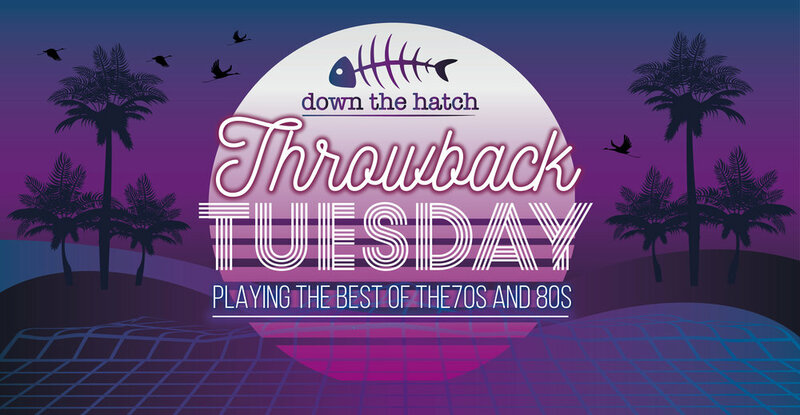 Win DTH Cash, DTH Swag & more... Prizes, drink specials, and just a good 'ol time Down The Hatch! DTH-Maui will feature local photographer Lauren Baer Baer Images in April, starting @ 5:30 pm! Cas will be here with her art on display & will be on hand to talk about her work. See artwork from local artists every 2nd Friday at DTH Maui. DTH Brekkie gets even better! Join us the the 1st Sunday of every Month from 7:30-10:30a for the DTH Pajama Party! Roll out of bed & head straight Down The Hatch... the better your bedhead, the better chance that you will have to win DTH Prizes! You'll win Breakfast for ONE WEEK at Down The Hatch... seriously 7 days of breakfast! $10 Carafes of Mimosa, Bloody Mary's, & Lahaina Sunrises! It's a morning thing... DTH Brekkie Pajama Party can wait to see your PJs! Every Tuesday is $5 TUESDAY at DTH Maui starting at 9p brought to you by Kula Rum!